Ten things I learned from reading The Cat Whisperer, The Secret of How to Talk to Your Cat. 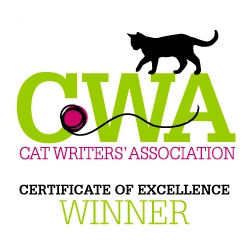 Written by Claire Bessant, chief executive of International Cat Care (formerly known as Feline Advisory Bureau), the book is full of tidbits about understanding your cat and what kitty may be telling us. 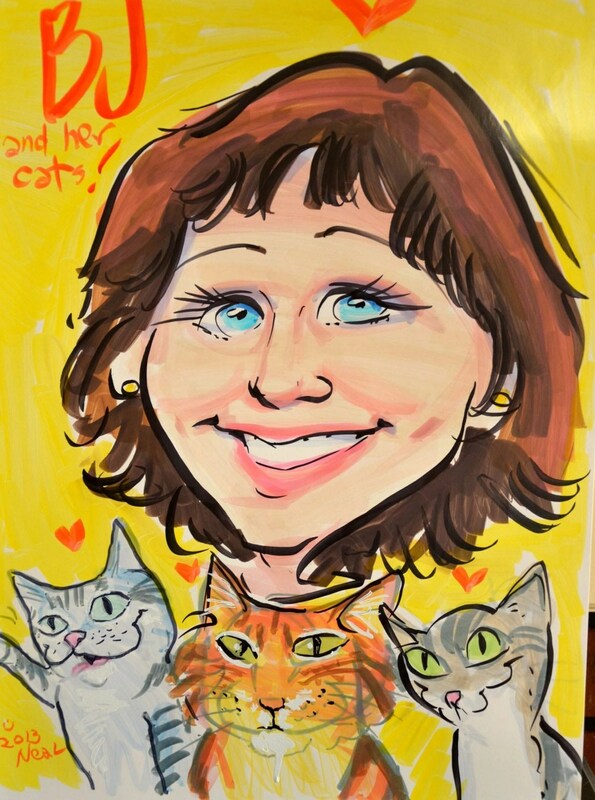 The Cat Whisperer tells how to understand your cat. The Paws household is amazed at how much we can learn from reading cat books, newsletters, and online articles. We just didn’t realize how little we knew, until we start reading. Then, we realize just how much there is to know. Rather than doing a book review on this book we purchased at Tractor Supply a while ago, we thought we would share some of the great nuggets we learned about cats. Published by Barron’s, The Cat Whisperer is available at many online outlets including Amazon.com. One of the first things we need to understand is that cats are not little humans, nor are they little dogs. They are cats. Here’s what we learned. Yawning is not associated with being tired, nor it is a sign of boredom. It is a sign of reassurance and contentment that is often follows a stretch after they’ve awoken from their nap. Cats appear to have remarkable navigational powers, due to a build-in magnetic sensitivity which gives them the same homing ability as in pigeons, giving them the ability to return to their owners after a very long absence. This also contributes to them being able to go cross-country in search of their owners. Cats don’t follow their noses when it comes to hunting. Instead, they stalk their prey using hearing and sight. Their sense of smell is used more for communications, to reach messages and marks left by fellow felines. Older cats may become more vocal and seek to initiate contact with their humans by calling out, especially at night, when they may wake up and feel vulnerable and alone. Kittens form social relations most easily in the first two months after being born. This is when humans and animals can be easily integrated as fear reactions have yet to be learned at this young age. When you see two cats grooming each other, there is a level of control, and it is important who groom and who is groomed in terms of cat hierarchy. Typically, The stronger cat does the grooming while the other cat is giving in a little and allowing the intimate communication between the two felines. The intensity of the relationship between cats and their humans often depends on how much the humans need the cats, not on how much the cat needs the human. Few people are lukewarm about cats. They either love them or hate them. Cats typically like food best at 77 to 104 degrees Fahrenheit (25 to 40 degrees Celsius), the body temperature at which their prey would normally be eaten, so don’t feed cats directly from the refrigerator as taste and smell dimming at low temperatures. You’ll also find info about why you should name your cat a one syllable name, why cats seem to have a sixth sense, and lots of info about cat communication. The more we learn about how cats communication, to each other and us, will help us have a better relationship with our feline family. 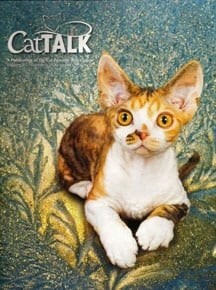 It’s definitely a good read, and there’s lot to learn, as we seek a better understanding with our cats. Are you looking for ways to better understand your cat? Do you think your cat can talk to you? Do you understand what your kitty is trying to say? Share your thoughts and your stories. I’m amazed at how much I learn every time I read a reference book. I also find some contradictory info, but I think for the most part pets, especially cats, help humans be better people. Sounds like a good book. I read the other Cat Whisperer one by Mieschelle Nagelschneider, she is good too. It was pretty interesting. I find there’s always something to be learned from reference books.